Kerri joined our show in 2004, since then she has become a very competent rider. 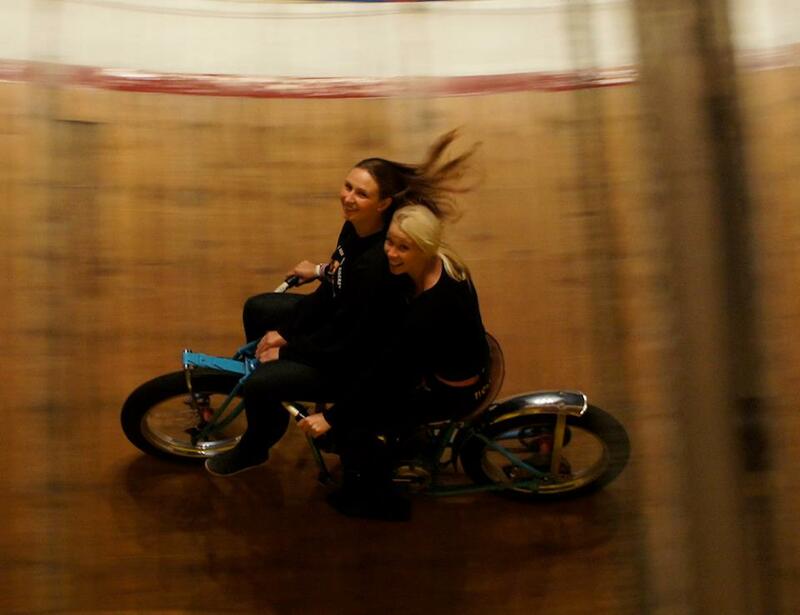 In the first year Kerri learned to ride the Go-kart, and became a skilled rider by the end of the season. Since then, of course, Kerri also learned to take the honda onto the wall and take part in the three man race with Ken and Luke. 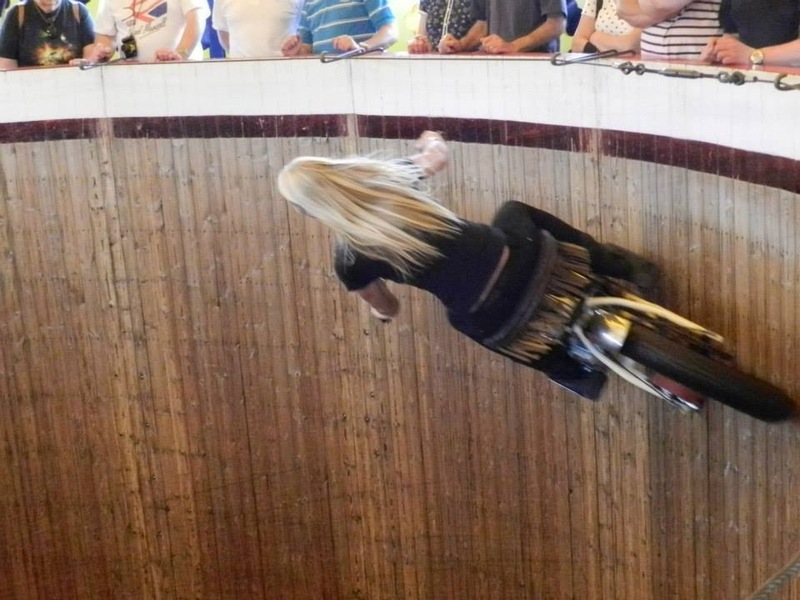 Now having learned to perform tricks and stunts on her own Indian, Kerri travels with Luke on the Original Wall of Death throughout the summer season. Kerri actually found us through the job centre purely by accident. She was looking for a new job as her last workplace at the stables was closing down. 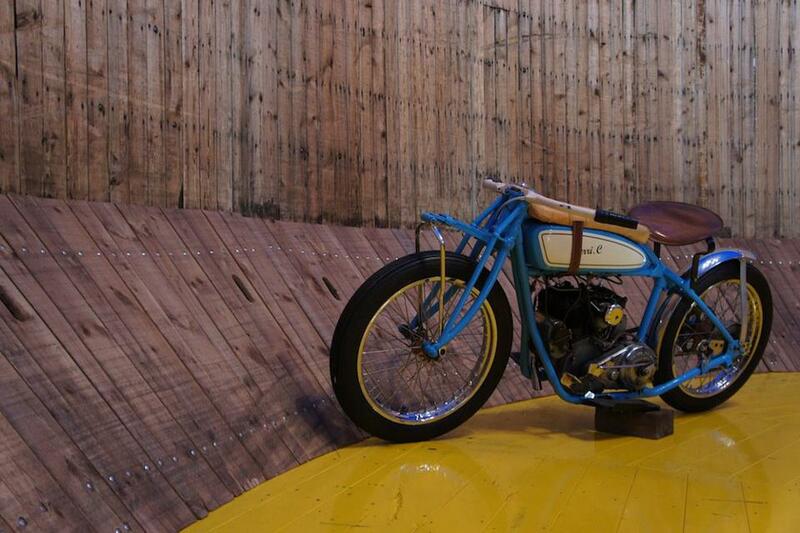 By typing in horse rider into the sites search engine she came across wall of death rider. Eventually curiosity got the better of her and Kerri rang Ken Fox, and now ten years on Kerri is a valid member of the Ken Fox Troupe. In her spare time Kerri still enjoys horse riding, drawing, and her beloved Ford Mustang.